I'm incredibly late posting this review, I know! Late February and early March have been incredibly hectic -- I've been working crazy hours at the day job, and all the birthdays in the Universe (ok, maybe just a few, but Very Important Ones) have happened within three weeks of each other: my boyfriend, my mom, my boyfriend's sister, me. So Pisces Extravaganza has kind of eaten into my blogging time, and as a result, you're going to be seeing some February catch-up reviews here in early March. 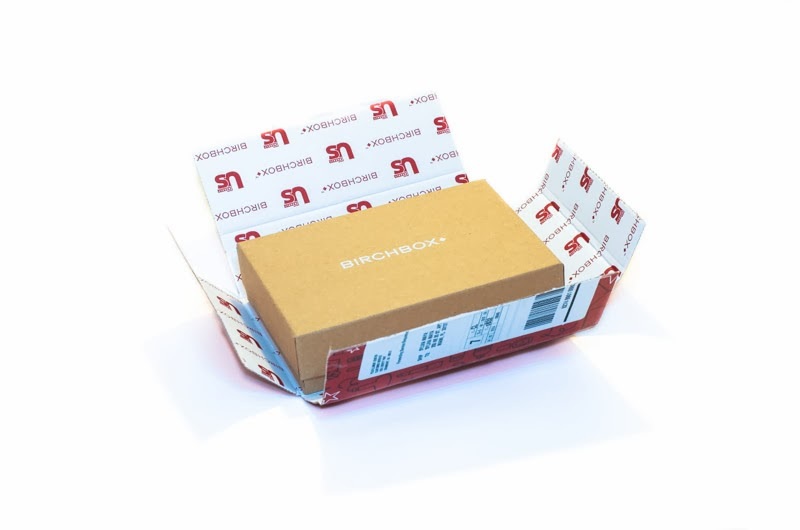 So the anticipation leading up to the release of Birchbox's February installment was pretty intense, since it was curated in collaboration with celebrity news magazine Us Weekly. Right off the bat, all subscribers received a bonus free three-month sub to the print version of Us Weekly, about a $17 value (a year's sub is $69.95), so the box paid for itself even before factoring in its actual contents. The custom outer packaging for the collab box was incredibly cute and suggestive, printed with stylized cartoon beauty products and stars and moviemaking paraphernalia (clipboards, old-school videocameras, hangers) and conjured up all kinds of visions of the exclusive, celeb-endorsed product samples that might be waiting inside. Unboxing was pretty exciting, even after it revealed the usual trusty brown cardboard Birchbox inside. Tucked inside as an introduction was the information card, the front of which you can see in the photo above. 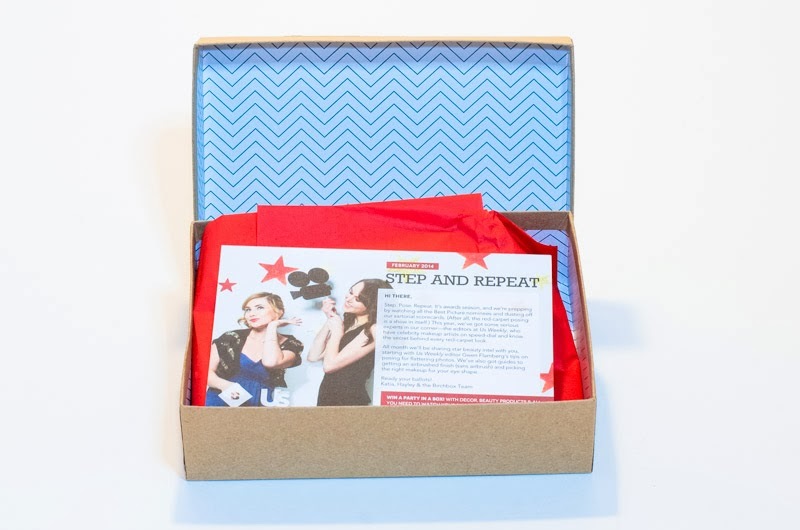 While not referring directly to the box or the products it contained, the card explained that February falls within awards season, and that all month Birchbox would be "sharing star beauty intel with [us]." 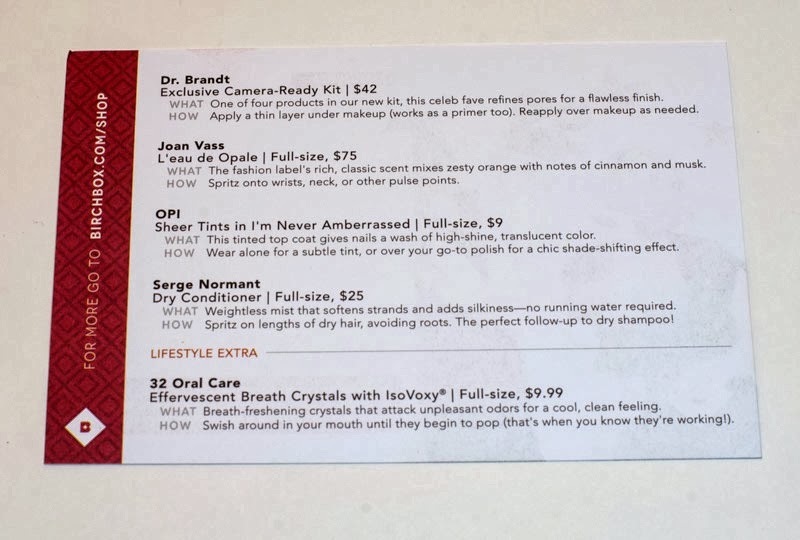 The back of the insert, as usual, listed each of the enclosed samples by name, and included a short description of each as well as the retail value for their full-size counterparts. Ta-da! Love the red-carpet-red tissue paper. I ended up with box number 61 this month, and it looks like there were 63 versions altogether. If you want to find out which box you received, log into your Birchbox account, mouse over the BOX dropdown menu at the top, and click on Women's Box. Then, scroll down to Box History, and mouse over the month and year link (in this case, February 2014) of your box. You can right-click copy the URL and either paste it into your browser's address bar or onto a text editor, so you can see it written out. At the very end of the link's address, you'll see a number preceded by the letters "bb." That's your box's number. Mine, for instance, was bb61. If you want to check out other boxes, replace your number with another number (like bb10, or bb54) in the URL. Props to Jen of Ramblings of a Suburban Mom for sharing this cool tip on her blog back in January! $25 for 3.2 oz. Sample is 1.2 oz, or about $9.37. 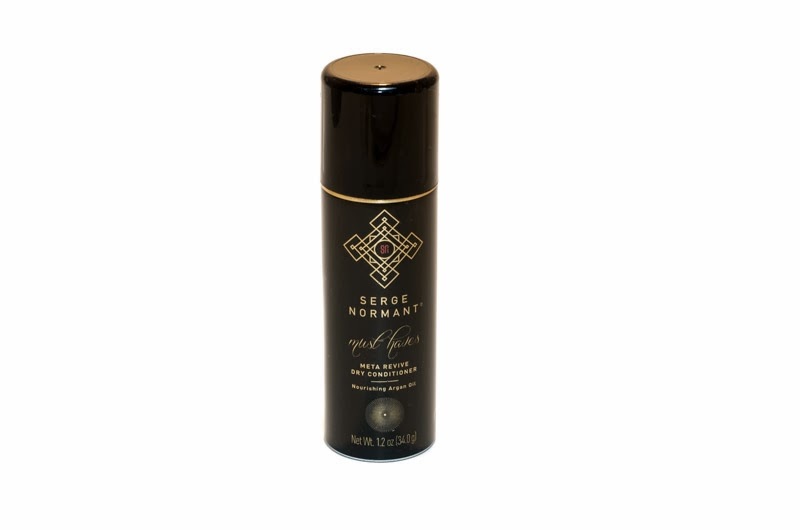 I haven't tried this out yet, but I do love dry conditioner --nothing better for refreshing and texturizing second- or third-day hair-- so I will definitely put Serge Normant to good use. It'll have to give me effortlessly amazing, otherworldly, Brigitte Bardot hair for me to invest $25 in a full-size after it runs out, though. It's kind of hard to beat a $3 price tag for Suave's efficient version of the same stuff. Anyway, we shall see. The spray bottle is gorgeous, I'll give Serge that. $45 for 1 oz. Sample is 0.25 fl oz, or $11.25. Birchbox sells this makeup primer alone (as linked above) or as part of the Dr. Brandt Exclusive Camera-Ready Kit, which features four skincare/makeup prep items and a compact mirror inside a cute silver makeup bag (all of which costs less than a full-size primer! Wha?). Before testing this out, I'd been pretty loyal to my rotation of two primers, which will go unnamed to protect the innocent. After testing, I have to say I prefer Dr. Brandt's version to both of my two standards. 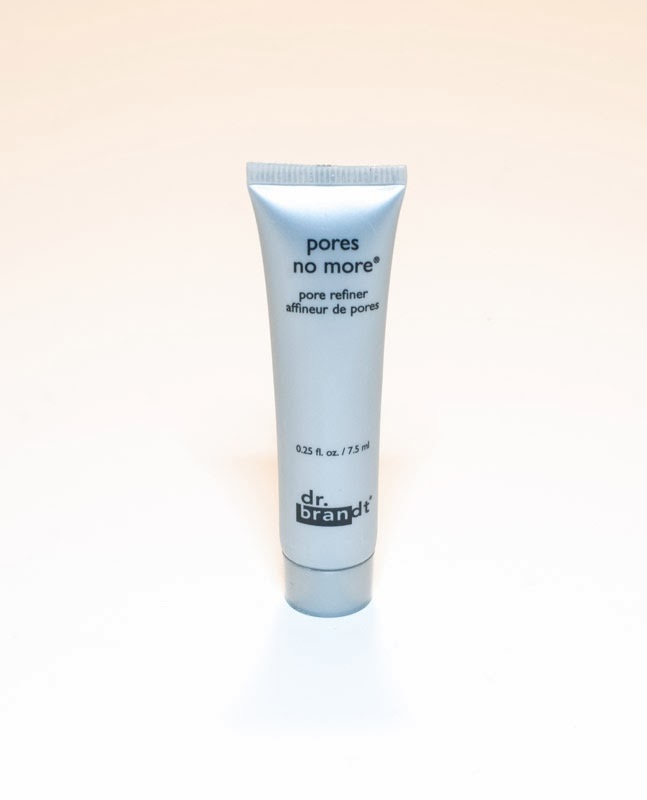 It's not at all greasy and actually has a sort of mattifying effect, it provides serious pore coverage, and it makes the makeup I layer over it stay put much, much longer than any other primer I've tried. This guy alone justified the price of the box for me. A real find (although an expensive one -- argh). $9 for a full-sized 0.5 fl oz. Sample is 0.125 fl oz, or about $2.25. I like OPI polishes in general, but I admit that I puzzled over this one. It's a tinted top coat, which is a cool concept I hadn't run into before. This one has an odd, translucent orangey-red tint, which does not look great applied alone over a fingernail. I haven't experimented with layering it over other polishes, so I'm going to reserve judgment for now. 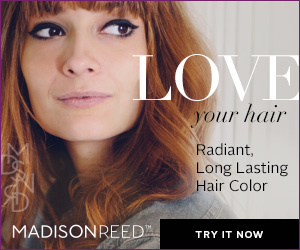 Birchbox offers it in four different tints. Did any of you guys conduct successful experiments with this top coat? $75 for 1.7 oz. I couldn't find any volume info on the packaging, but if I had to guesstimate, I'd probably put this sample's value in the $10 range. I hadn't heard of Joan Vass before receiving this fragrance sample, but apparently she is an American clothing designer who's been around since the 70s. This eau is an intense floral, musky at its core and heavy on tuberose. It's a mature scent, and not one I'd personally wear. I'll say this though: it was great to find a perfume sample other than Juicy Couture in my Birchbox! I hope this means they're expanding their perfume repertoire beyond Juicy and Harvey Prince. $14.75 for 32 packets. 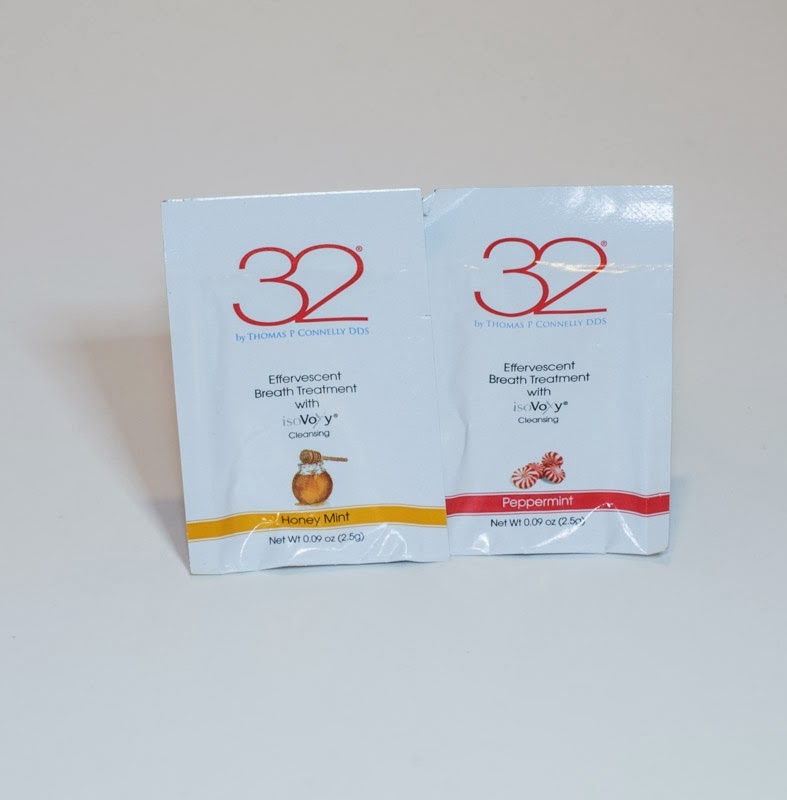 Sample was two 0.09 oz packets, or about $0.92. These packets were the month's lifestyle extra. I haven't tried them yet, but from the description on the info card, I love the concept: like breath freshening Pop Rocks! You're supposed to swish them around in your mouth until they start popping. FUN. I got the honey mint and peppermint flavors. Has anyone tried them yet? And that's it! 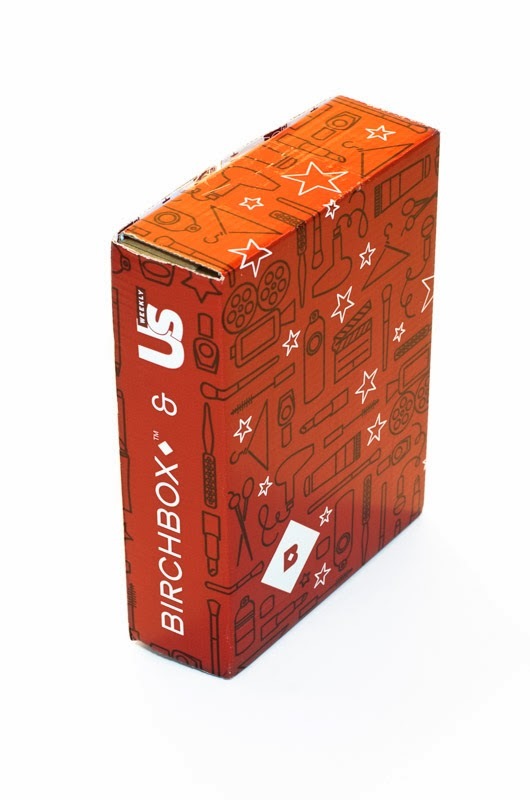 Did the Us Weekly Birchbox collab live up to your expectations? The overall value, about $50 total, was great, though I was perhaps a little underwhelmed by the products -- I would've loved an actual OPI polish rather than the topcoat I received, and would've probably preferred another makeup or skincare item instead of the perfume sample. But all in all, it was a fun unboxing and, again, featured a 21st Century version of Pop Rocks! Were any other 80s babies psyched about this extra? If you'd like to find out more about Birchbox or know you want to sign up ($10 per month for 4-5 beauty, skincare, and lifestyle samples), feel free to use my referral link or any of the others scattered throughout this post. And to end things on a note of cliffhangery excitement, how about a sneak peek into March's box of Birchbox sample goodness? Click on the video below to get your spoilers, and then comment on the YouTube page to get entered to win them all!